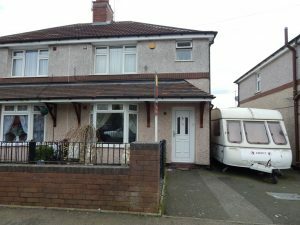 A three bedroom semi-detached property. GCH, DG, hall, lounge, kitchen/diner, three bedrooms, bathroom, rear garden, parking & garage. No pets/smokers or DSS, £750 deposit, availble end of March.